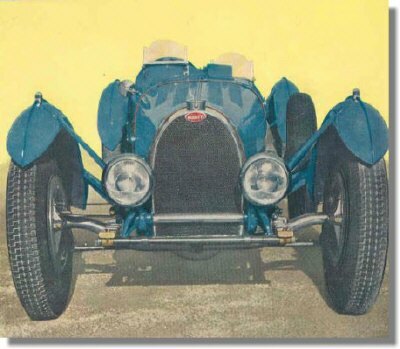 1960 Bugatti Owners Club Christmas Card - Bugatti Type 59 - Chassis 59124. 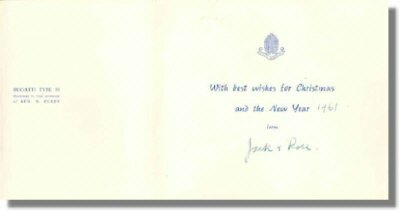 This is a vintage 1960 Bugatti Owners Club Christmas Card from 1960 (sent out with the best wishes for 1961...), signed "Jack & Rose". 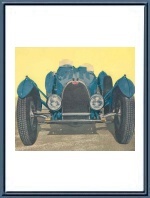 The front shows the Bugatti T59 (Chassis 59124) while owned by Francis H. Ludington of Pelham Manor, NY, USA.